Twitter wants UK businesses to tweet about the way they use Twitter, and as an incentive they're offering a chance to win £1,000 in free advertising credits. Announced on the UK Twitter blog by TwitterUK the promotion is intended to show how local shops and services promote themselves in their local neighbourhoods. To enter the promotion businesses need to Tweet using the hashtag #ukbizstories and tell the story of how their business has used Twitter creatively to connect with the community and reach their customers. 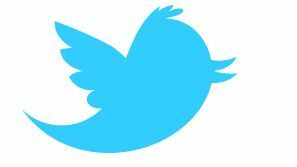 Twitter will select and reward the businesses with the best examples with up to £1,000 of free Twitter advertising credit to be used on their Promoted Products service. The promotion ends on July 31, 2012 and is only open to UK businesses. Twitter does not state how many £1,000 prizes will be awarded. Is this a desperate ploy by Twitter to get some testimonials? Or a genuine attempt at helping businesses to get more from Twitter. Let us know what you think?